Dr Val Munsami takes on the role of CEO at the South African National Space Agency. The South African National Space Agency (Sansa) has appointed Dr Val Munsami as its new CEO with immediate effect. A former deputy director-general of the Department of Science and Technology (DST), Munsami takes over from Dr Sandile Malinga. 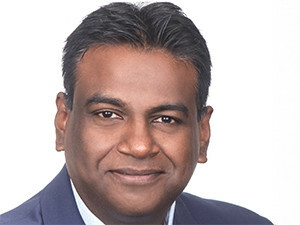 Malinga left the agency at the end of August last year, after a five-year stint as CEO. Following Malinga's departure, Sansa appointed board member Potlaki Maine as interim CEO. According to Sansa, Munsami brings a wealth of knowledge and experience in space science, technology, innovation and government policy, and he is determined to move the agency towards having a greater impact on its citizens. Munsami takes the helm following an impactful past in shaping SA's space science landscape, the agency says. He has held a number of positions within the DST, with the latest being chief science and technology representative since February 2016. The new CEO was also the department's chief specialist for astronomy and African space science, where he was involved in the development of a National Multi-Wavelength Astronomy Strategy and the Square Kilometre Array readiness strategy. Furthermore, Munsami's achievements include his involvement in strategy and policy development for the South African national space programme. He currently chairs the African Union Space Working Group, which developed the African Space Policy and Strategy that was approved by the African heads of state in January 2016.